Created to inspire ALL Caribbean nations that are united by their love of rhythmic vibes, this track has effortlessly earned its place amongst the upper echelon of hits for this season. 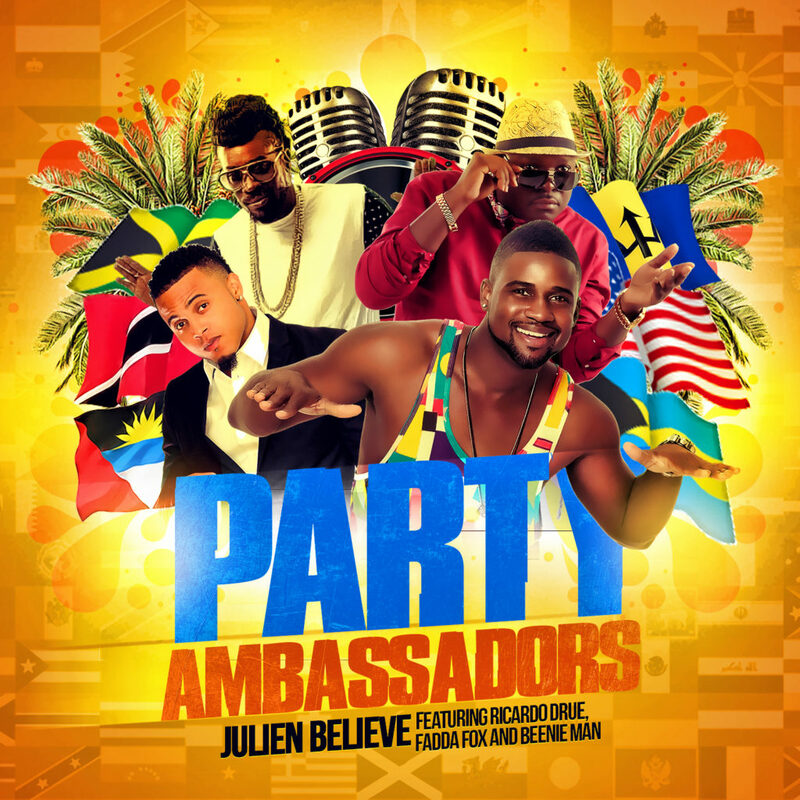 Front man Julien Believe along with Fadda Fox, Ricardo Drue and Beenie Man present the new airwaves dominator, “Party Ambassadors”. Guaranteed to get you jumping, whining and celebrating, Party Ambassadors pays homage to the most celebrated festival in the Bahamas known as Junkanoo. A true Caribbean kaleidoscope of flavor and fun, Junkanoo is the music and very soul of the Bahamian people. 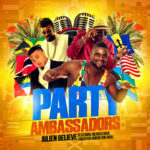 Party Ambassadors will lit that fire “in ya belly” and get you whining your waistline all in the name of getting you feeling the rhythm and deeply immersed in the very soul of the Bahamian people. Through flawless selection and execution of melodious vibrations, lyrics and composition, these Caribbean powerhouses call on all Junkanoo and Soca veterans to carry on the electrifying tradition and echo these sentiments to all amateurs to the craft. As for you, the listener, you are now tasked with a mission! Join these diplomats, and see to it that the vibrations of this world-renowned sound are felt throughout the Soca diaspora and beyond.